A few years ago when Virginia tried to ban Uber, I wrote to my Congressman and told him that he was putting drinkers back on the road if he supported banning services like Uber and Lyft. I didn’t use the word drunks because many folks who get a DUI think they’re fine until it’s too late. The average cost of a DUI can range anywhere from $7000 to $25,000 depending on the area and fines. The younger the driver, the more invincible they believe they are and more likely to have others in the car with them, not to mention the other drivers and pedestrians they endanger when driving impaired. If you’re going to be out celebrating, use it tell your family and friends to use it. 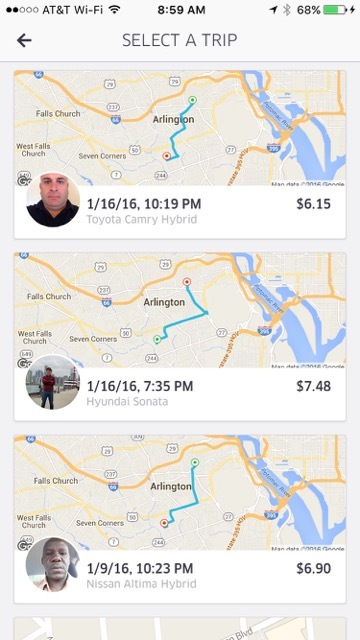 I’ll give you some Uber hacks below to eliminate any excuses. [Read more…] about 8 ways to hack UBER, ditch your car, and save money in the on-demand economy. Carl is behind the financial independence blog 1500 Days to Freedom. He’s recently been made famous in multiple New York Times articles, Yahoo Finance, and on Good Morning America. I first met Carl at FinCon 2018 (a personal finance conference) where I scored an email invite to his “bring your own” local craft beer party. Since this was my first time at FinCon I wanted to make sure that I fully participated. The idea of the party was to bring a local craft beer from wherever you were flying in from.